The 2014 Nissan GT-R is getting ready to hit dealerships soon, with just a few upgrades over the 2013. 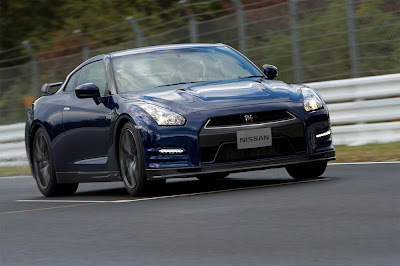 The Car Connection rates the 2013 Nissan GT-R in six categories and gives it an overall 8.6 out of 10. Performance is where there's absolutely no doubt as to why the 2013 Nissan GT-R earns a spot among some of the world's top supercars and exotics. On that stage, it's a relative bargain--a budget Bugatti Veyron, offering much of the performance but without all the leather and aluminum and at about a tenth of the price.